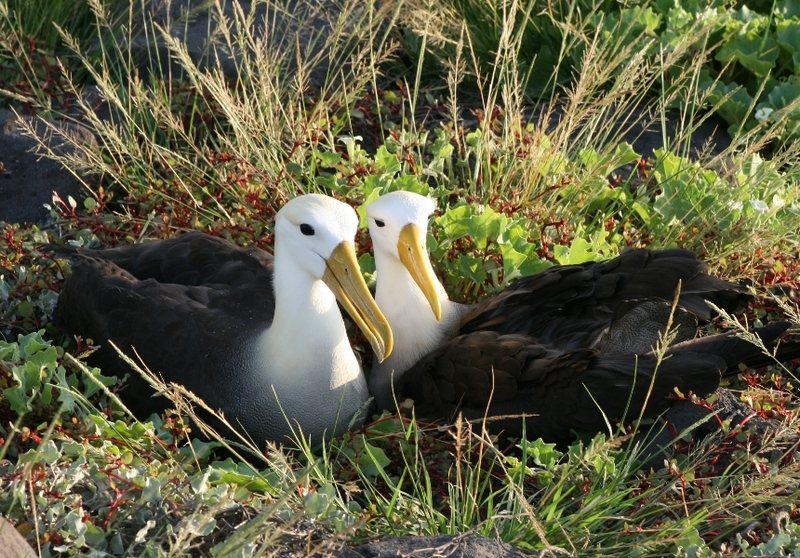 Other birds being monitored in Galapagos include the Flightless cormorant and the Waved albatross. These are also special to the Galapagos Islands and are on the IUCN Red list of threatened species like the Galapagos penguin. 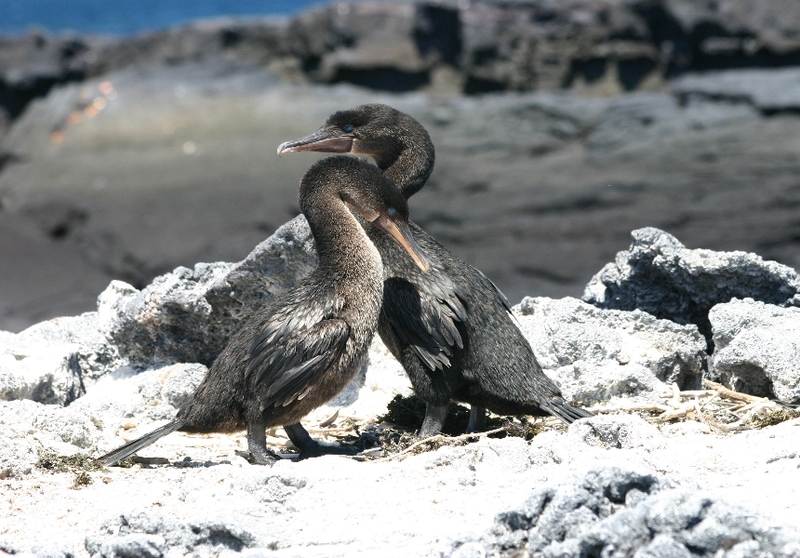 The flightless cormorant, like the Galapagos penguin, is only found in the Galapagos archipelago, and is monitored alongside the penguin. Like penguins they are reliant on the cold currents to supply the Galapagos Islands with sardines, anchovies and mullets to feed on. The flightless cormorant is a marvelous example of living evolution. They have lost the ability to fly but are wonderfully adapted to hunting in their surrounding marine environment. Until recently, flightless cormorants were also listed as endangered but have been re-categorized as vulnerable – a great sign that the populations may be about to show signs of recovery. The waved albatross, also known as the Galapagos albatross, is a critically endangered species of albatross that only breeds on Española. This makes their conservation on the Galapagos Islands crucial for their survival. 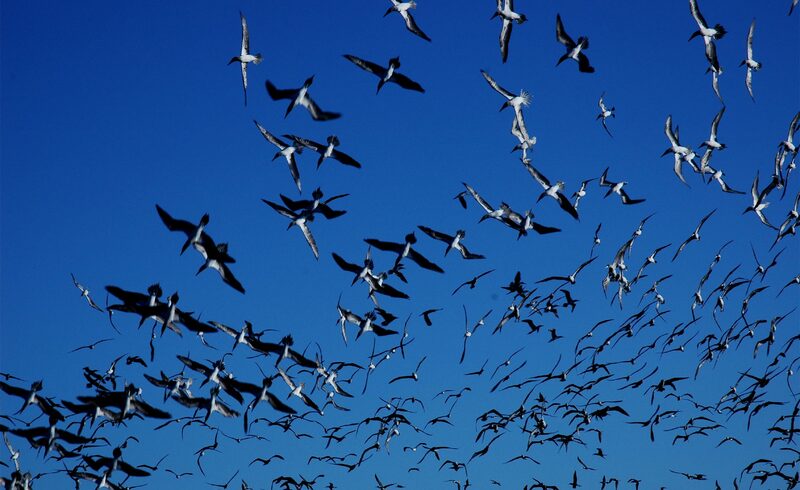 There is a tracking program in place in Galapagos at the moment using Movebank where the public and scientists can follow the movement of marked birds. This is useful to find out more about them, which could help their conservation.